Ace of Base, held under the auspices of the Aerobatics Club of South Africa, is traditionally the last aerobatics competition of the year and this year it took place at Vereeniging Airfield on Saturday 25 November. The last regional competition, the KZN Regionals, was held at Ladysmith on 24 October and unfortunately attracted a small field of only seven competitors. The winner, ranked by percentage scored, was Cliff Lotter flying a Zlin 50 with Adam Pucjlowski in a Zlin 526F in second place followed by Andrew Blackwood-Murray in a Zlin 50 in 3rd, Andrew Fletcher in a Zlin 50 in 4th and Conrad Botha in a Slick 360 in 5th. The weather at Ace of Base, especially in the early morning, was definitely not ideal for aerobatics with low clouds and a 15 knot wind that although mostly on the nose frequently changed direction quite unexpectantly. At a stage, with rain forecast later on, it seemed as if the event would be cancelled. But then conditions improved marginally and the first competitors took to sky. 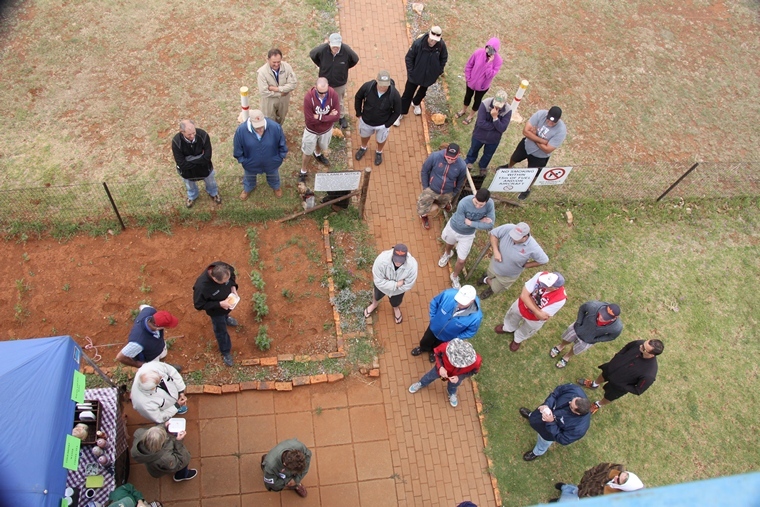 Some entrants did not partake whilst some of the Bloemfontein contingent who was worried about worsening conditions south left before the start of the competition. Instead of rain conditions improved slightly leaving those that had flown earlier at a slight disadvantage. The wind hardly abated though and though the sun peeked through the clouds briefly the weather was marginal at best for the rest of the day. None the less some excellent sequences were flown. 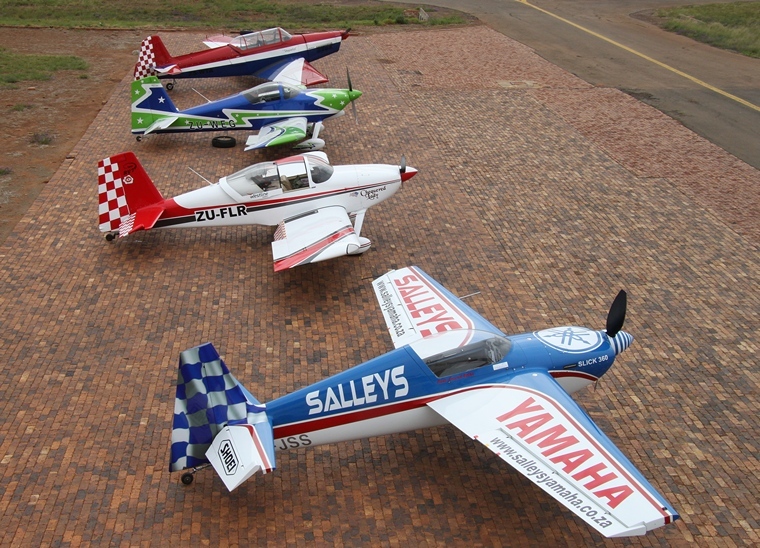 Twelve pilots competed and the number of new faces bodes well for the future of aerobatics in South Africa. Except for the Slick and a lone Extra none of the other high performance aircraft were present. That did not detract and the pilots of the RVs, Pitts Specials, Yaks and Zlins showed that the old timers and kit builds can hold their own in the lower classes. There were also a large number of young new faces on the judging line undergoing training which is excellent news. Judging the contestants were Chief Judge Quintin Hawthorne, Laszlo Liszkay, Kelly MaCauley, Brian Van der Merwe, Cindy Weber and Carl Visagie. Neville Ferreira was the Contest Director and Natalie Stark the Scoring Director. Medical assistant, that was fortunately not required, was supplied by Parys Medics. Sportsman Class contestant Riaan Prinsloo who flew his Yak 18 from Middelburg in Mpumalanga who contested the Sportsman Class took first place and won the Ace of Base Trohy. Riaan who flew the bulky Yak early during the worse conditions used to be a regular competitor but has not flown competitively for a number of years. Pilot's Post correspondent Ivan van der Schaar from Petit Airfield in Gauteng who contested the Graduate Class took second place in his Pitts. Ivan's second place was remarkable considering that it was his first foray into competition aerobatics and that his busy schedule flying for Comair as well as trying to get their Stearman airworthy again left him with little time to practise. Third place went to KZN's Adam Pucjlowski in a Zlin 526F with fellow KZN resident Roger Deare in a Zlin 50 in 4th. Springs's Steve Brown in a Slick 360 was placed 5th. Gary Glasson in a Pitts Falcon took 6th place whilst Australians Jesse Jury and Todd Montgomerie both flying Neville Ferreira's Slick 540 finished in 7th and 8th places respectively. Bloemfontein's Westline Aviation owner Charlie Marais in a RV7 was placed 9th, Andrew Fletcher in a Zlin 50 in 10th, Neville Ferreira in his Slick 540 in 11th and Eugene Du Preez in an Extra 300 in 12th.